Me, standing on Papohaku Beach on Molokai on the western shore. 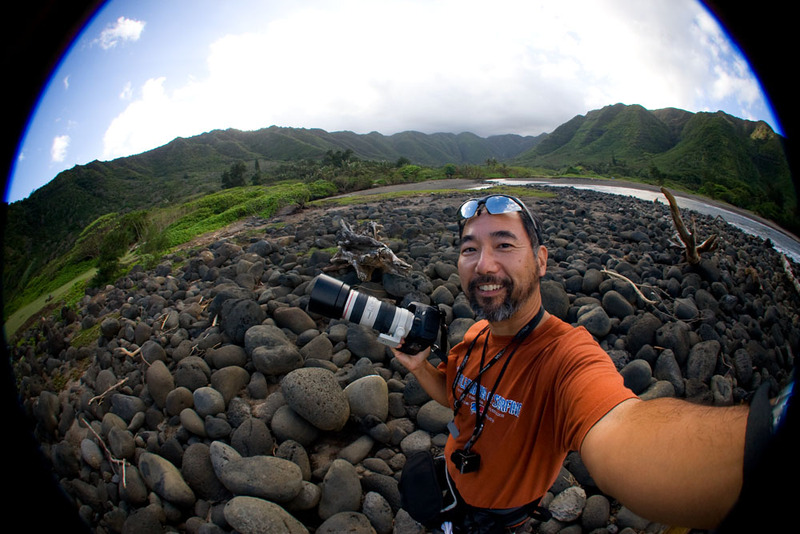 Some folks have been wondering what the heck was I doing on Molokai. Standing on a sunny beach of the western shore of Molokai as Oahu and the Big Island experienced a deluge of rain. Well, I guess despite my pushing ahead with my internet product Hawaii 24/7 I’m still a newspaper photographer at heart, just not for the same old newspaper. 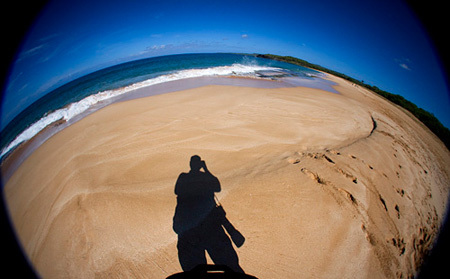 I shot an assignment for the New York Times on Molokai. You can see the story here. You can see a slideshow here. You can see me taking photos of people taking photos here. It was a Canadian couple that I photographed and they included me on their blog. NY Times decided not to use the phallic rock photo, maybe a bit too lascivious for a family paper like them. So if your birdcage is really missing my photos in a print edition, I suggest buying the New York Times once in awhile. It also makes excellent fish-wrap at the market. Me standing at the mouth of Halawa Valley on the eastern shore of Molokai later that afternoon. Yes! Great to see that your photos will be gaining more exposure, even if the phallic rock won't. Good luck on Hawaii24/7 also.